Whatever you are looking for, a killer kitchen design or a traditionally neutral-colored space, our design, project management and factory teams work closely together to create a convenient, beautiful Home in your own signature style. All the cabinets are built in our factory in Malaga to Australian standards and with the latest technological advancements. Retreat Design in Subiaco creates innovative and exclusive kitchens and bathrooms. We work with a range of clients: home renovators, builders, developers, designers and architects, to design, manufacture and install beautiful kitchens and bathrooms. Retreat Design has exclusive arrangements with European cabinetry manufacturers to ensure the highest quality imported products for our clients. We design, build and install complete new kitchens in Perth and surrounding suburbs (WA, Australia). InDesign Subiaco creates interiors with luxury finishes. Specialized in bespoke kitchens and all aspects of residential joinery. From interior design & selection of materials through to manufacture, installation & project management, InDesign works with clients to create unique and inspiring living spaces. InDesign is exclusive importer for premium European kitchens & furnishings. Showroom is located at 308 Hay Street, Subiaco. Be inspired by the latest in kitchens, bathrooms and entertainment spaces. Leeming Renovations are a professional and highly sought-after family owned renovation business, specialising in whole house renovations consisting of custom designed bathroom, kitchen, and laundry renovations. We also provide project management for all your home renovation requirements. 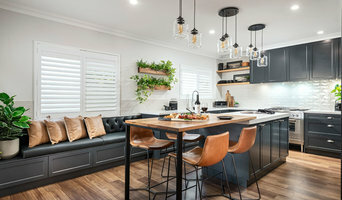 At Leeming Renovations we have built our reputation on sensational designs, unrivaled excellence and surprisingly affordable renovations that will enhance your lifestyle. Innovation is who we are. Quality is our passion. We pride ourselves in delivering you with a complete renovation experience and superior service. The majority of our work is comprised of word of mouth referrals and repeat business within the Leeming area which is a testament to our quality workmanship, track record and hundreds of happy clients. With our expertise, we will transform your home into a modern masterpiece so you can still keep living in the area you love! As a company, we value the community and giving back to those in need. Watch the snippet of our time on Matt and Kim to the Rescue on Channel 9 , where our sister company Todd The Tiler Pty Ltd was were humbled to be a part of this amazing life changing experience. 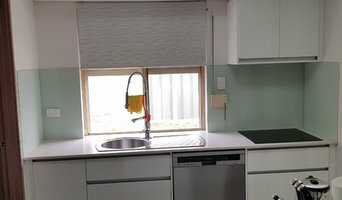 www.toddthetiler.com.au See our HOUZZ profile <a rel="nofollow" target="_blank" href="https://www.houzz.com.au/pro/todd483/todd-the-tiler-pty-ltd">https://www.houzz.com.au/pro/todd483/todd-the-tiler-pty-ltd</a> We specialise in the area of Leeming and surrounding suburbs and have hundreds of satisfied customers. Through Renovation we can magnify the features in the main areas of the home as well as unite and harmonise adjoining living spaces. Let us add high-quality design appeal as well as durability and functionality to your lifestyle. From specially designed lighting, cleverly placed feature walls and exceptional outdoor living spaces, your home will transition into a modern masterpiece seamlessly from interior to exterior. Contact us to schedule a consultation. From design to hand-selecting timber, premium hardware and exquisite finishes, Arena Interiors will help you make the right decisions to get the cabinetry you want. Arena Interiors prides itself in offering cabinetry that is designed to meet the functionality of your space. We offer flexibility with personalised solutions and make sure that it fits with the style and decor of your home and lifestyle. We are proud to support our local economy. All of our materials are purchased from Australian suppliers and all of our manufacturing occurs under our roof. Rigorous manufacturing processes balanced with advanced computer-driven machinery are matched with a hand-crafted finish which ensures a consistently high quality of cabinetry. Since 1993, Ikal Kitchens has delivered custom designed kitchens, bathrooms, laundries, and cabinets of excellence in Western Australia. Our reputation for award winning designs has made us one of the premier kitchen and bathroom specialists in Perth. We pride ourselves on our ability to transform kitchens and bathrooms into beautiful and functional spaces that truly represent the individual personalities and lifestyles of our clients. Our showroom and factory are located in Osborne Park and our designers are always on hand to provide technical advice and assistance. Our experienced design team welcomes the opportunity to transform your kitchen, bathroom, or laundry into an environment, which we know you will treasure for years to come. A dynamic forward-thinking family business that still has the age-old tradition of customer service as a priority, who specialises in kitchen renovations, designs, cabinets and flooring right here in Perth. Fall in love with your kitchen or bathroom all over again with a renovation by QN Designs! Our kitchen renovation team and cabinet makers keep up with the latest trends to ensure your kitchen gets the best finish possible. Whether you’re looking for a new benchtop or a complete overhaul of your kitchen, we provide customised kitchen renovations of all sizes for our clients across Perth. To give your kitchen a renovation that you will absolutely love, check out our gallery of past projects, or contact our team in Perth to get started today. Dean Kitchen’s is a family owned company with more than 40 year’s experience in designing and locally manufacturing kitchens. We offer a full service in both renovation and new home kitchen design from demolition to completion including all plumbing and electrical requirements. The company’s design service includes an in-home measure and quote supported three-dimensional drawings and a fully automated quotation system. Dean Kitchen’s will custom make to any style from traditional, contemporary, to ultra modern. With over 25 years experience, Vantage Cabinets specialise in all aspects of kitchen, bathroom and laundry renovations in Perth; we offer an extensive range of products and services to suit your project needs. We pride ourselves on our exceptional quality, attention to detail and level of service. We only use the highest quality products and offer individual designs to tailor-make each project to your design specification. With our free in-home quote services, we are able to make sure your design is right for you and your home. Full service solution for all your building & renovation needs. Our dedicated team is led by a registered builder with 30+ years of experience in kitchen, bathroom renovations, extensions and new construction. 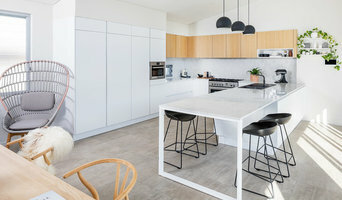 There are many types of kitchen professionals in East Perth, Western Australia – from cabinet makers, to carpenters and interior designers – and many trade professionals offer a full suite of expertise. Depending on the size of your kitchen renovation, and the kitchen designer, they may also hire contractors on your behalf and manage the project from beginning to end. Here are some related professionals and vendors to complement the work of kitchen & bathroom designers: Kitchen & Bathroom Fixtures, Appliances, Tile, Stone & Benchtops, Joinery and Cabinet Makers, Carpenters. Find an East Perth, Western Australia kitchen designer on Houzz. Browse the Professional section on Houzz to find kitchen designers in East Perth, Western Australia. Then, scroll through photos of their latest kitchen renovations and see how their work compares to the scope of your project. You can read reviews to see how other homeowners rate their work, and message them directly to to ask any specific questions.